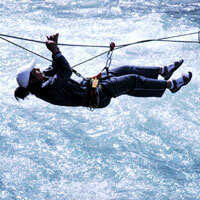 Love trekking, mountaineering or Bungee Jumping? Come to us for all of these. We boast to be most loved by all adventurists in the country. So if you really want to pump up your adrenalin, availing our Adventure Tours would be the ideal. The madness of regular life has spared very little time for you to enjoy? If yes, then donâ��t wait but opt for the perfect deals on Adventure tour offered by the company. We at, TAYAL TOURS & TRAVELS, value your genuine urge for adventure and design offer the packages in the same way. The army of experts always assures that your tours are in compliance with your requirements.